If you're Google Chrome Web Browser user of Desktop PC version than you must know the features, specification, performance and unlimited useful extensions of it, now good news for Apple iOS devices users that new Google Chrome Web Browser for iPhone, iPad and iPod has been released for iOS Smartphones and Tablets and i recommended iOS device users to try it once because it will boost up your Web Browsing experience on Mobile Platform. As of now Apple Safari Web Browser is the default and built-in Web Browser for iPhone, iPad and iPod iOS devices and iOS device users didn't have anyother option till yet but now iOS device users have got the Best Web Browser option for their Mobile Platform which is Google Chrome Web Browser for Apple iPhone, iPad and iPod devices with unlimited useful extensions available for iOS Mobile Platform. Google Chrome Web Browser was launched in year 2008 with the aim to overtake other Web Browsers and it got successful, Google Chrome have already overtook Internet Explorer by Microsoft and Mozilla Firefox web browsers and became the most popular web browser in the world after that its enjoying the top position and positive status from their users. Google’s only and most downloaded Web Browser along with the Google's Drive (a cloud storage service) is available on the App Store for easy download by the users. Google's Chrome browser is also available in the app store since Thursday, 28th June 2012. 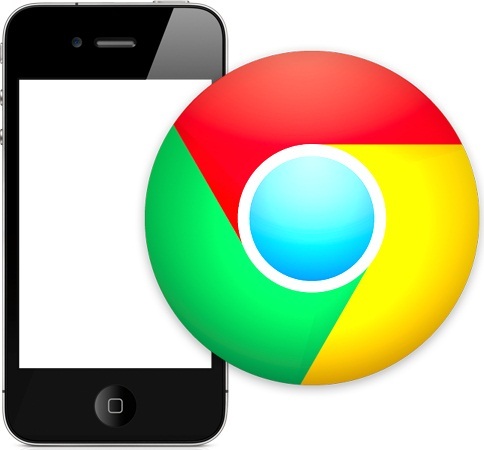 Google Chrome for iPhone, iPad and iPod is seems to be a great browser just like Android and Desktop PC versions. The great part is that the browser is available for the Apple iOS Devices that has iOS 4.3 or even higher. Access and see photos, videos and documents easily and quickly. Open the files from Google Drive. Share files easily while you are on the go. Sync the files across all devices and desktop. >Download Google Chrome Web Browser for iPhone, iPad and iPod Now. If you want to compare the both iOS Web Browsers App and its performance, you can watch the following Video to determine which Web Browser for iPhone, iPad and iPod is best, either Apple Safari or Google Chrome? Let’s find out the comparison between Apple Safari and Google Chrome web browsers. If you want to make Google Chrome browser as your default browser on your iPhone, iPad and iPod idevices, you can make it easily by installing an App available on Cydia called "BrowserChooser". But make sure your iOS device should be Jailbroken before downloading and installing "BrowserChooser" Tweak. Watch the following Video to make Google Chrome as default Web Browser and Replace Apple Safari from default browser list. How to Replace Safari and Make Chrome Default Web Browser? After adding Repo opens it and search for "BrowserChooser" Free Tweak and Install it on your iOS Device.